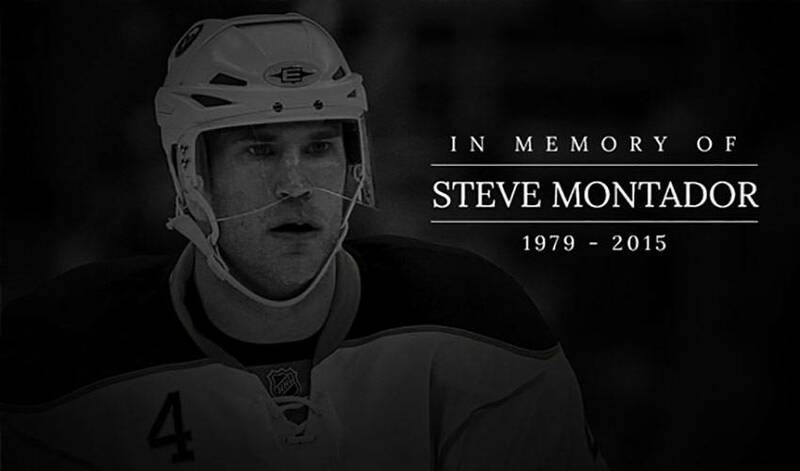 The NHLPA family is in mourning following the passing of Steve Montador. For Steve's obituary, funeral and visitation details, as well as a statement from NHLPA Executive Director Don Fehr, please follow the link below. Passed away unexpectedly on Sunday, February 15, 2015 at the age of 35. Cherished son of Paul and Donna Montador. Much loved brother of Lindsay, and Chris and his spouse Ines. Loving “Uncle Steve” to Mason, Cavan, Isabella and Jack. Steve will be greatly missed by Aunt Mer Montador, Charlotte, Dennis, Todd and Kelly Cooper, and Gisele Bourgeois. Friends may call at the Turner & Porter “Peel” Chapel, 2180 Hurontario St. (Hwy 10, N. of QEW) on Thursday and Friday from 4 – 8 p.m. Funeral Service to be held at the Mississauga Convention Centre, 75 Derry Rd. W. (W. of Hwy 10) on Saturday, February 21, 2015 at 1 p.m.
Any media requests may be directed to the NHLPA. In honour of Steve, and the charities he supported, memorial donations may be made to Right to Play, www.righttoplay.ca; Parachute Canada, www.parachutecanada.org; or to Canadian Sports Concussion Research Project, www.solveconcussions.ca. "We are all deeply saddened to learn of the sudden death of Steve Montador. Steve was a great person who quickly became a friend of everyone he came to know in the game; teammates, NHL club staff, the media and fans. Over the course of his career, he was an active member of the NHLPA and someone who I and our entire staff, enjoyed working closely with. He dedicated a lot of his time to advancing the interests of his fellow players. On behalf of the players and staff, we send our thoughts and prayers to Steve's family and his many friends. He will be greatly missed." Rest in peace Steve u will be missed by many! Great teammate even better guy! RIP Monty. Thoughts and prayers with his family. Too soon for such a great guy and teammate. Very sad day in the hockey world! RIP Steve Montador! Condolences to his friends and family. RIP Monty. You were one of the best I've gotten to play with. Rest in peace Monty. All heart. RIP Steve Montador. Monty laughed a lot and made the rink a fun place. So sad. Just spent some time with him this summer.